This year the Pirtek fishing challenge returned for another big day of fishing and cancer fundraising. It was bigger and better than ever before, attracting 8500 anglers from across Australia – that’s less than half the number of men who will be diagnosed with prostate cancer this year. Catch a fish, take a photo, throw it back and support a great cause – it’s as simple as that. Each year the aim of the catch-and-release fishing challenge is to raise important funds and awareness for the Prostate Cancer Foundation of Australia (PCFA).These funds help support the fight against prostate cancer by allowing their work to continue moving forward. The Prostate Cancer Foundation of Australia are a leading organisation dedicated to their mission of reducing the impact of prostate cancer. They do this by funding world leading prostate cancer research, educating, implementing awareness campaigns and supporting those affected by prostate cancer. In other words, their work is vital to improving prostate cancer statistics in Australia. 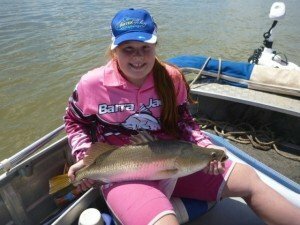 People from all over Australia ventured out to the best fishing spots to try to reel in the big ones and win their share of $155,000 of cash and prizes. Even those who had to battle challenging weather conditions stuck it out. Registered participants were focused on 21 target species, which they had to catch and photograph to have a shot at winning. 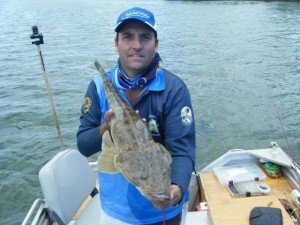 Michael Guest, Event Director of the PIRTEK Fishing Challenge, was impressed by the catches in this year’s competition. “Our staff and troop of volunteers were overwhelmed with the number of people who participated in this year’s competition, especially considering some states and territories had to battle some challenging weather conditions. We are thrilled that more and more people are getting behind the competition to have some fun with family and friends, plus helping to raise money for Prostate Cancer Foundation of Australia,” said Mr Guest. The work PCFA do is funded by both the Government and the generosity of the community, individuals and business partnerships. This is why events like the Pirtek Fishing Challenge are so important. In past years the event has raised over $100,000 for PCFA and this year organisers hope they will be able to raise even more. The winners from the 2014 Pirtek Fishing Challenge were announced on 29 March and can be seen on the website www.pirtekfishingchallenge.com.au.